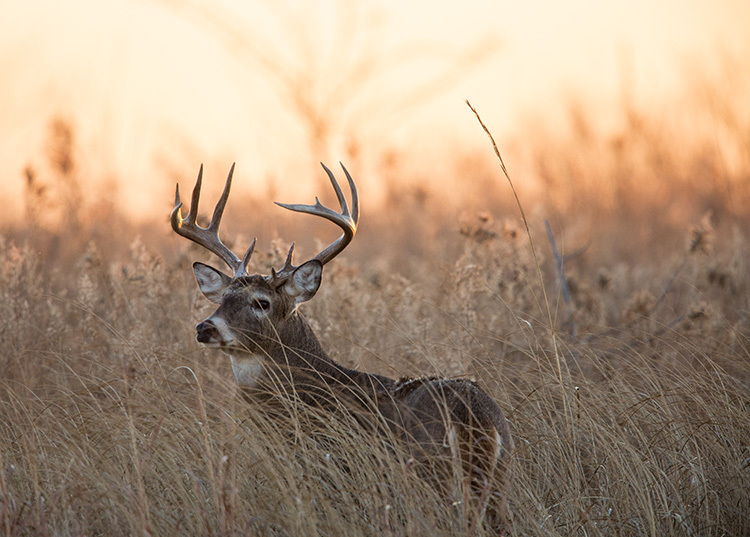 Here’s how to find deer in woodlands, farm fields, and mountainous terrain. 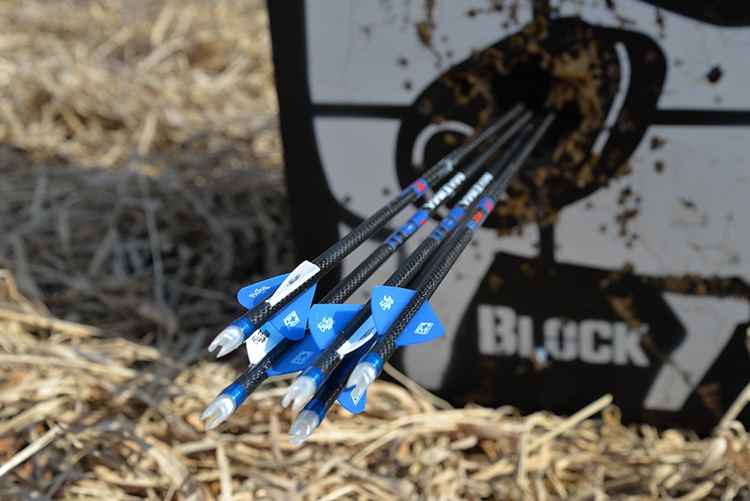 Most how-to deer hunting pieces tell you how to set a treestand or how to trim a shooting lane. Some may even offer some wisdom on setting up between bedding areas and food sources. And if they really provide value, they’ll tell you how wind influences your stand locations. This is not that kind of how-to article. Instead, it’s one that takes a larger view of the problem most deer hunters face, which is figuring out how to hunt various types of terrain. I’m talking specifically about the sorts of landscape types that dominate the public land that you and I hunt because we can’t afford a private-land deer lease where we control the variables. Public land from coast to coast has one common denominator: It’s marginal. These lands entered the public domain because they weren’t valuable for agricultural, residential or other private commercial use. 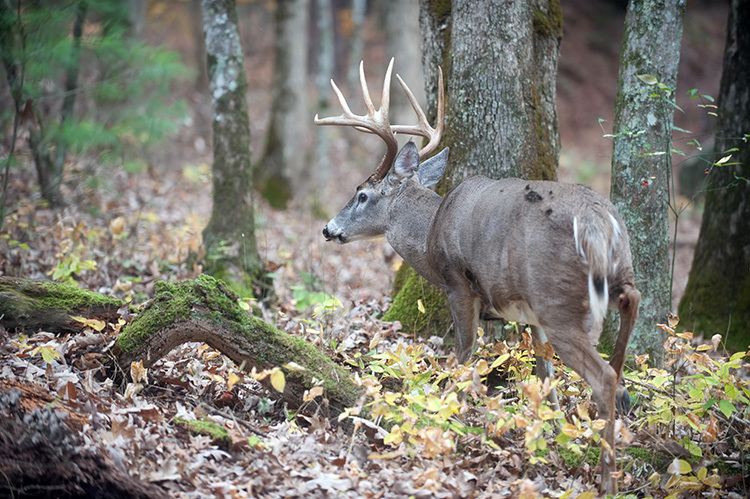 Consequently, the best public deer ground is often steep, rocky, weedy, and raw—all factors that can improve the hunting if you know how to read the terrain. 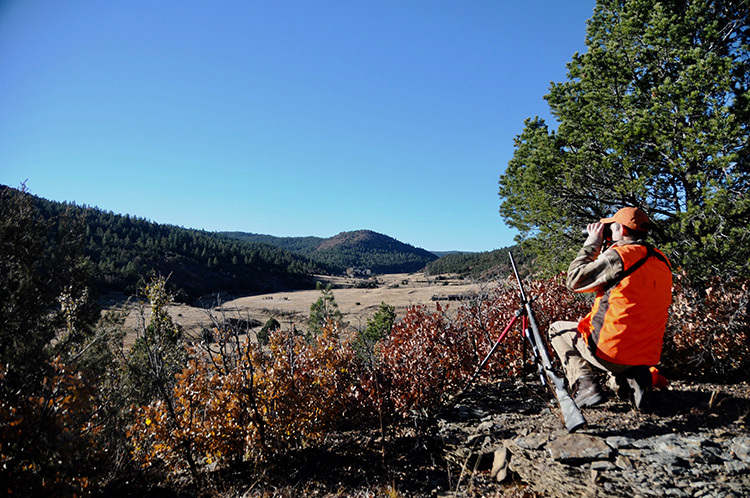 On public land, the variables are too numerous to mention, but they tend to fall into three themes: accessibility, landscape type, and hunting style. We’ll pick apart three different-but-common landscapes, and then apply the other two variables—accessibility and hunting style—to each. I hope you recognize your local public parcel in these descriptions. The types of public land in this category include swatches of state forest in the Northeast, some overgrown game lands in Pennsylvania, the hardwoods along the spine of the Appalachian and Blue Ridge mountains, and much of the logged-over forests from Michigan’s Upper Peninsula down through the white-oak Ozarks. Dense timber can be hard to hunt, because there aren't many defined edges. In these places, look for tracks, scrapes, and rubs, and set up downwind of those signs. These public properties tend to be grown over and fairly sterile in terms of wildlife value. But they serve as productive transition zones for whitetails, providing bedding areas, mast production in good acorn years, and terrain that rewards hunters who get away from the easy access spots and work the interiors. Accessibility: You’re likely to see lots of vehicles at the access points and trailheads, but don’t let that deter you. Prepare to hike, maybe only a few hundred yards or perhaps as far as two miles, to get into the best hunting terrain. If possible, you’re going to want to hike a ridge, maintaining your elevation as you work into the interior. 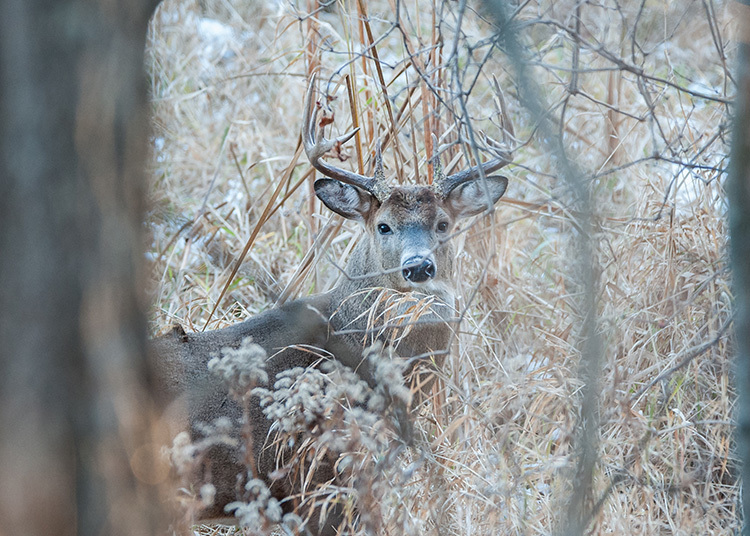 Keep your eyes peeled for deer sign—maybe a rub or a scrape, or a well-used trail. If you’re packing a treestand, the very best spot to erect it is on the nose of a distinct ridge that overlooks a saddle. Bonus points if you can find a good tree that commands the spot where two major ridges meet. Some access points will be at the lower margins of the property, in which case you have some climbing to do. Find the dominant ridge of the parcel and hike up it, keeping your eyes peeled for sign. In areas where water is abundant, look for mast-producing trees. In areas where water is limited, look for little seeps and springs—places that might concentrate deer. Quick tip: Much of this country can be remotely scouted. Check out onX maps’ satellite imagery and private-property ID layer on either your phone or a laptop. 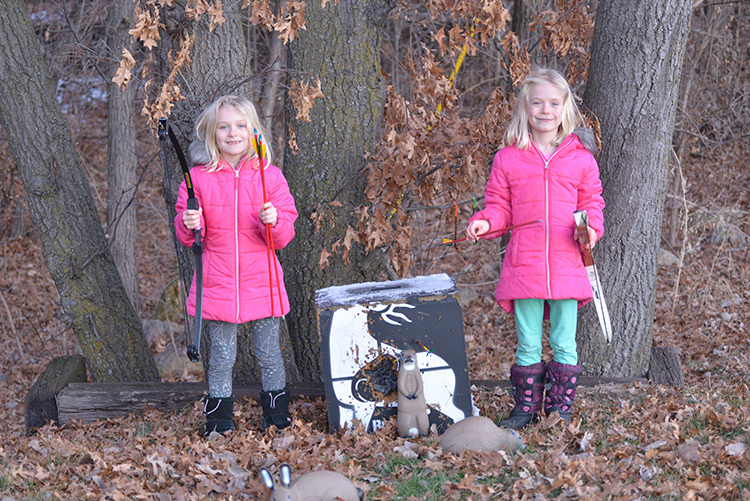 Hunting Style: Your hunting style in these woodland habitats will likely be from a treestand. Many public properties don’t allow permanent stands, so think about bringing a climber and setting up over a defined trail. Alternatively, try making a mock scrape, and see if it’s being tended. If it is, that’s the spot for your stand, just downwind of the scrape. This is the perfect terrain for stump-sitters, folks who simply plop down and watch. It’s an old and very effective method for woodland hunting. If you intend to hunt from the ground, plan on using deadfall and slash vegetation to build a ground blind. No need to bring in a commercial blind, especially if it limits your mobility. Ruger American: A synthetic-plastic tack-driver, the American features an adjustable trigger, rotary magazine, and is available in most popular deer calibers. Retail: $489. Accessibility: Most huntable properties that fall into this landscape type are private grounds enrolled in a walk-in program. That’s because, as mentioned, farmland is generally too valuable to be devoted exclusively to the public domain. For the purposes of this piece, we’ll assume that farmland is private and that usage restrictions limit the style of hunting on these properties. 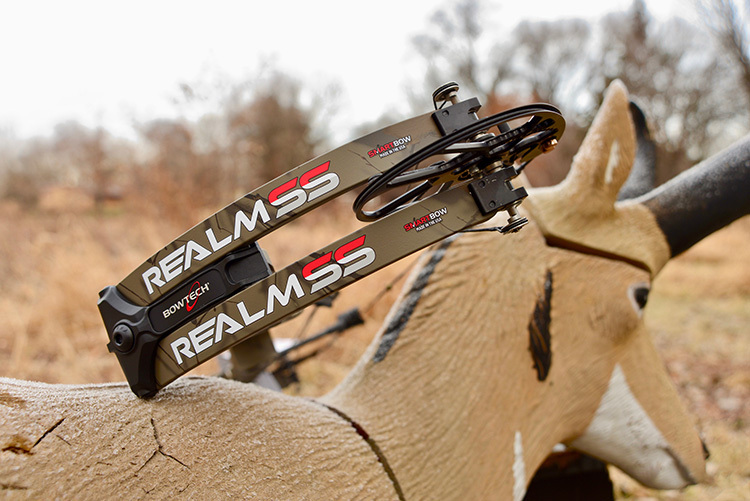 A killer spot to set up for ag-land deer is just inside a timbered edge overlooking a field. These landscapes range from the monoscapes of the Great Plains wheat belt to the corn and soybean country of the Midwest to the smaller pastures of the Southeast. What they all have in common, however, is very productive edge habitat, the line between cropland and nearby woods, or pasture and brushy cover. You should be hunting that edge. Quick tip: The best remote scouting tool for these parcels is Google Earth, which uses imagery from USDA’s crop-reporting service, so you can see what was planted there and the topography of neighboring property. 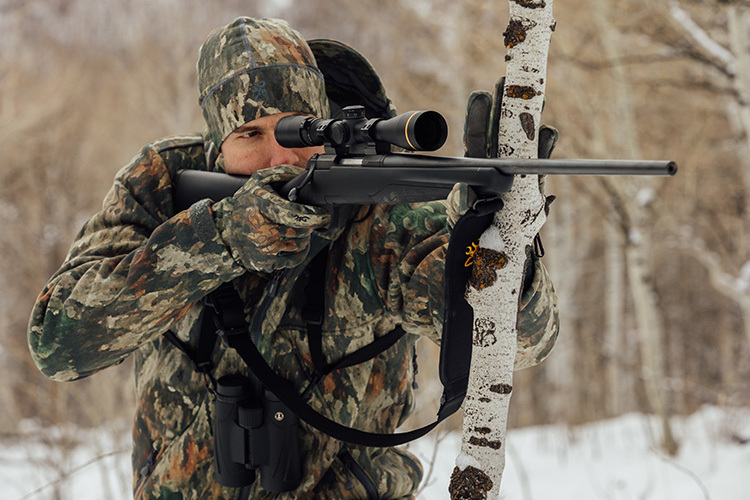 Hunting Style: Prevailing wind direction can make or break your hunt. Walk that edge, looking for places where deer routinely jump a fence, rub a cedar fencepost or where they scoot between hiding cover and feeding areas. Because deer tend to be equal-opportunity foragers, it can be hard to tell precisely where they feed, but you should be able to identify these movement corridors. If you can’t predict wind, identify stand locations on either side of a corridor. But if there’s a prevailing wind, set up downwind of the crossing and plan to be in place in the evenings. These are typically not morning spots, but they are good places to intercept deer moving from cover to feed in the evenings. Oct. 16: The rut hasn’t kicked in yet, which means deer will still be patternable. Try to hunt the leading edge of a cold front. 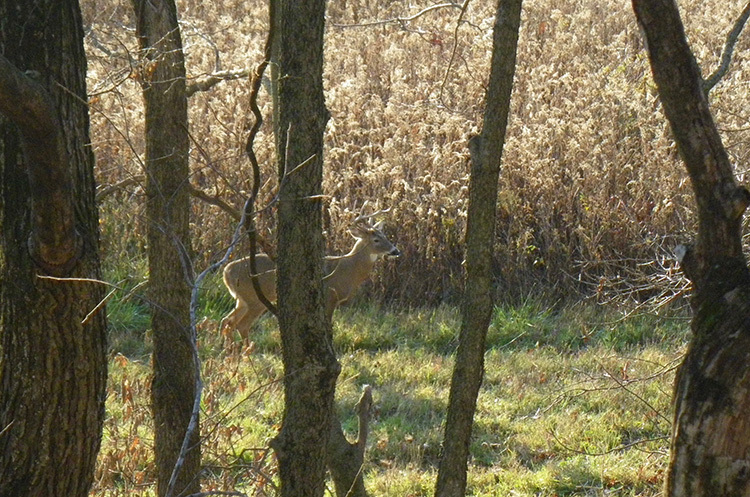 Nov. 4: This will be the height of the chase phase of the rut across much of the country. Saucer-eyed bucks will be running pell-mell around in search of cycling does. Nov. 10: The new moon of November will keep nights dark and should sharpen daytime and evening deer activity. These spots are more limited, largely because their carrying capacity for deer is more limited. I’m thinking here about the mule deer country of the West, where deer movement is influenced by the seasons more than by daily rituals like feeding or moving to and from bedding cover. In mountainous country, set up on edges, including those spots where timbered slopes meet creek drainages, and watch for migrating deer. Accessibility: When thinking about seasonal migration corridors, target your scouting and hunting activity on food sources. Think about the lower-elevation attractants for deer. Maybe that’s an irrigated alfalfa field where they’ll find succulent forage once frost nips the higher-elevation plants. Or perhaps it’s a cut corn field adjacent to weedy bedding cover. Quick tip: Use Powderhook’s map, which shows public parcels. 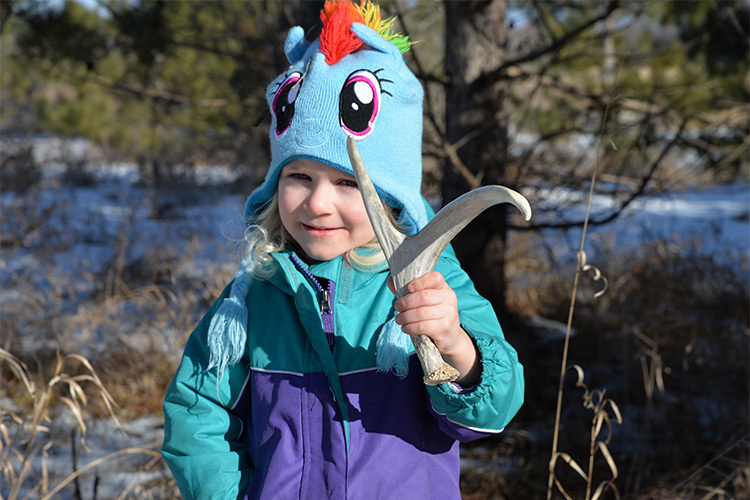 Look for good hunting just inside the National Forest boundaries. Hunting Style: Regardless, you want to find those riparian corridors that offer easy access from the high country to the foothills. Finding fresh sign can be tough here, since the transitional landscapes are often dry and rocky. So instead, hunt the weather. Wait for a snowstorm to hit the high country, and then set up on a promising canyon a day or two later. If you’re in the right place, you should start to see does and yearlings moving downhill. The mature bucks will wait a couple of days and then start to move. Good hunting strategies for this landscape include using a spotting scope set up on a vista that allows you to look into a number of drainages, a pack that is stout enough to pack out a portion of a deer but light enough so it won’t slow you down as you intercept promising bucks, and a GPS with a landowner chip that will alert you when you reach that public/private land interface.